The objective of this game is to help learn to identify different birds that are generally available everywhere and surrounding us in nature. 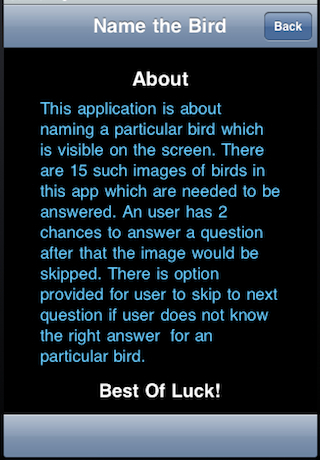 This game has 15 different images of birds which are to be identified Here an image of a bird would be displayed on the screen and user has to identify the same. Giving correct answer would reward the user with 1 point. Two chances would be given to identify the image correctly. 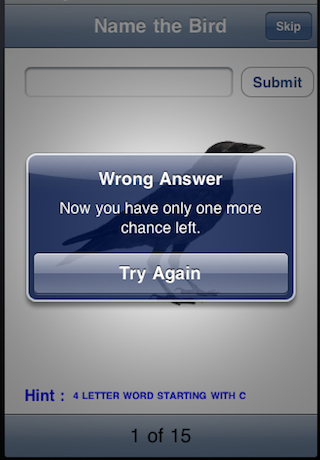 At first attempt, if wrong answer is given then a message such as "Try Again" would be displayed, also hint will be displayed at bottom of screen and at second wrong attempt the question would be skipped and user would be awarded 0 point for that question. 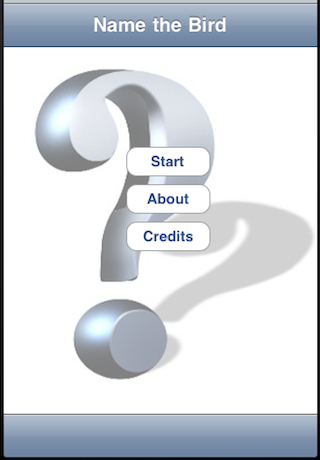 If user does not know the answer then there is an option to skip the question which would result in 0 point for that question. 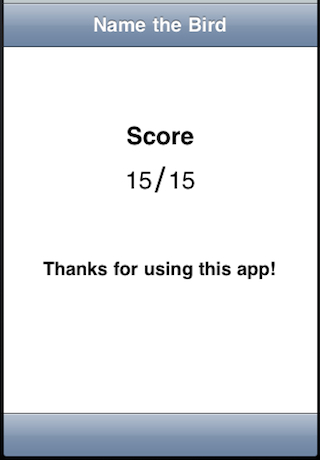 At the end the total score would be displayed which would be out of 15. The idea is that the child should make efforts time and again to figure out the correct answer which aids the learning process.